Dive into the Worlds of Balls and Bubbles in Balls Breaker! 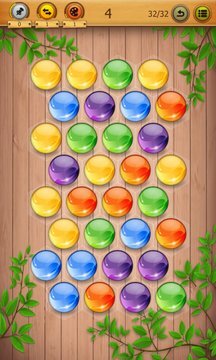 Balls Breaker is simple, yet very addictive popping game. 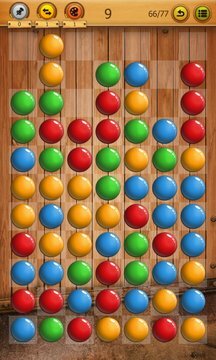 It is a highly developed version of the classic pop, match-2 or breaker game. - Adventure - YES! You will be travelling through Worlds of Balls and Bubbles! Only one simple game mode, but long journey! - Emotions - it is like a roller coaster, at some point you will hate this game, but then you will fall in love again;) But not your husband, wife, friend or even a dog - It's too addictive! - Logical thinking - just pop the balls? Remove the color first? Maybe use power-up? Oh no, I will keep the power-up for harder levels. Maybe I should just undo couple of moves first? - Couriosity - how many Worlds are there really are in the game? Is there any hidden World? How long do I have to play to unlock the next World? Is it always the same amount of time? - Awards - every time you finish the level you may get gold stars. You will need gold stars to unlock the Worlds. More stars you get - you faster unlock the next Worlds. PIN - it is the most common one, may be used for various boards and balls. It is like a sniper rifle on the battlefield - removes one ball at once - sometimes it may save your evening. LINE - rare, difficult to get, very useful with the more complicated boards. Should be used with caution, as it removes all the balls in the row so you need to be strategic. COLOR - very rare, extremely difficult to get. The most powerful from the power-ups. Gives you the power to remove all the balls with the same type (color). It is recommended for the most difficult levels or... when you just started hating this game.